This was a quick one-page site that one of my gaming friends asked me to create for him. The original concept/coloring was proposed by a mutual friend of ours, and he was initially supposed to take care of the site, but due to his own commitments, asked me to take over the project. 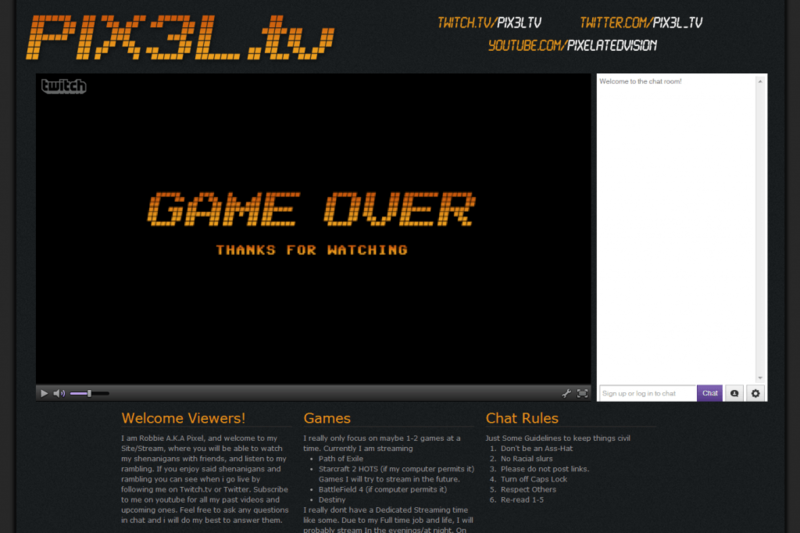 The site is dominated by the large streaming and chat windows for when he streams video game play. The feed is handled through the streaming service twitch.tv. He was able to use my graphics (header logo, “game over”, avatar) within his Twitch user account to handle his “branding”.